Grape phylloxera is regarded as the world’s worst grapevine pest. Since the mid to late 19th century, it has devastated vineyards across Europe, North America, New Zealand, South Africa and parts of South America and Australia. Productive viticulture cannot normally continue on own-rooted vines following an infestation by phylloxera. The only effective long-term management strategy for controlling phylloxera is a replanting program using vines grafted on phylloxera tolerant rootstocks. Phylloxera tolerant rootstocks are bred from grapevines native to North America known as American vitis species. These particular species evolved in the presence of the phylloxera and so developed tolerance mechanisms that allowed them to continue to flourish in the presence of the insect. The mechanism by which tolerance occurs is mainly by the formation of a layer of cork tissue around the root lesion, which limits the spread of decay, and, to a lesser extent, resistance by repulsion. Read here about rootstock breeding in Australia. This interactive map displays the rootstock report for South Australian wine regions. The salinity of irrigation water and salinity associated with soils or rising water tables can affect productivity in grapevines and is detrimental to wine quality. Grapevines are considered to be moderately sensitive to salinity, and the use of some rootstocks can reduce the effects of salinity, as Vitis vinifera (own rooted vines) accumulates salt at greater levels than many commonly used rootstocks. The following table is a guide to the salt tolerance of a range of commonly used rootstocks. The values refer to the approximate soil saturation paste salinity level (ds/m) above which yield reductions will occur. The reduction in yield may be as much as 9.6% for every one unit ds/m increase above the threshold (Walker and Stevens, 2004). Note: Classification is based on the best available data from Walker et al. It should be noted that in some recent work at Merbein on the chloride exclusion of rootstocks with long-term saline irrigation it was found that the ability of 1103 Paulsen and Ramsey to exclude salt appeared to be deteriorating. In similar work at Padthaway, however, the same phenomenon was not observed. The study concluded that the rootstocks 140 Ruggeri, Schwarzmann and Rupestris St George have performed the best under long-term saline irrigation at Merbein. (Tregeagle, Walker, Tisdall and Blackmore, 2004). Some rootstocks are described as having good ‘drought tolerance’. In our current grape growing conditions, this can mean a considerable advantage for the grower where water availability is restricted and can mean substantial environmental and economic benefits in terms of improving water-use efficiency. Characterising the water-use efficiency or drought tolerance of the commonly used rootstocks in Australia is a difficult exercise as there are many complex physiological mechanisms. These mechanisms interact with one another and are also influenced by the soil, environment and cultural practices. Recent work by Walker et al. (2004) has also shown that the effect of rootstocks on water-use efficiency is scion specific, further complicating matters. Because of these complex interactions the results and conclusions obtained from different studies on the water-use efficiency of different rootstocks are often contradictory. This has made it difficult to definitively rank the commonly used rootstocks from most to least water use efficient or drought tolerant. The classification of rootstocks below is based on the consistencies of their performances in a number of studies from both Australia and overseas. Rootstocks that have consistently been found in research to be water-use efficient or drought tolerant. Rootstocks that have been found to be water-use efficient/drought tolerant in some studies but not others. Rootstock that have never/rarely been found to be water-use efficient or drought tolerant. Rootstocks can be chosen that are able to cope with relatively high acid levels in the soil. (Soil amelioration is still recommended to correct strongly acidic soils and prevent potential aluminium, manganese and copper toxicity, irrespective of the type of rootstock to be used.) The availability of certain nutrients rapidly diminishes as pH decreases below 7.0. However, it is generally soils below pH 5.5 that can lead to nutrient deficiency (N, P, K, S, Ca and Mg) or conversely nutrient toxicity in grapevines (Al, Cu and Mn). 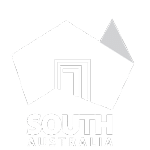 There are very few areas in South Australia where growth is limited by acidic soils and as a result there has been little local research done on which rootstocks perform the best under such conditions. The little known rootstock Gravesac has proven tolerance to acid soils. (Delas 1992). Rootstocks have been shown to influence fruit set. Improving fruit set is of particular importance in the cool climate regions such as the Adelaide Hills and Coonawarra. The most commonly used rootstock for this purpose in South Australia is 5C Teleki, however, growers have reported improvements with other rootstocks as well. Recent work has shown that the increase in fruit set may be related to the uptake of Molybdenum. Work done by Gridley (2003) with Merlot on own roots, 140 Ruggeri and Schwarzmann, has shown a similar percent fruit set for all three but a lower proportion of shot berries on 140 Ruggeri and Schwarzmann. The following table classifies rootstocks on their ability to influence fruit set and fruiting for conditions in Oregon (Candolfi-Vasconcelos 1995). Table 1. Rootstocks and their influence on fruitset. No recommendation 1103 Paulsen, 161-49, Gravesac. Rootstocks can influence fruit maturity hence ripening date can either be delayed or advanced. The relative length of the growing season varies among the rootstocks and it is considered this may influence the timing of grape maturity. In addition, rootstocks affect the relative vigour and fruit yield, which also influences maturity date. It may be advantageous to use a rootstock that advances maturity date in a cool climate region to allow the fruit to reach physiological ripeness before the end of the ripening season. In situations where there is an impermeable layer close to the soil surface and the site experiences high spring rainfall, there may be the potential for waterlogging. Some rootstocks are more tolerant of water-logging than others, but none are better adapted than ungrafted vines. Rootstocks have a major affect on vine vigour, and vine vigour has a major effect on final wine quality. A grower must assess the potential vigour of the site, as well as the inherent vigour of the scion variety and the end product yield specifications before choosing an appropriate rootstock. The overall site vigour potential will be a combination of these factors. In the soil profile the depth to the impenetrable or impermeable layer is important as it determines the volume of soil that the vine roots can explore for moisture and nutrients. In general it can be said that the greater the potential rooting depth, the greater the potential for vigour. When planting on shallow soils (<20cm) a grower should consider using a more vigorous rootstock and when planting on a deep soil (>75cm) a lower vigour rootstock should be considered. The vigour potential of a soil increases with soil fertility. Generally soil fertility increases with increasing soil clay content as clay particles have a greater capacity to store nutrients compared with sand (Gladstones 1992). In fertile soils lower vigour rootstocks should be considered, while in soils lacking in available nutrients a higher vigour rootstock should be considered. Warm climates encourage growth so long as moisture is not a limiting factor. Cool to mild climates encourage growth because of the high rainfall that is associated with them. In general a warm, wet climate has greater potential for vigour compared with a cool, wet climate. In the absence of irrigation a cool, wet climate has greater potential for vigour than a warm, dry climate. To create a balanced vine, it is generally best to match a high-vigour scion variety with a low to moderate rootstock variety, and vice versa. The site vigour should also be taken into account. There are a few cases where the scion varieties and rootstock cultivars have been found to be incompatible. In most instances the incompatibility is a result of using virus-infected grafting material (May, 1994). The most common incompatibility problems occur when Muscat Gordo Blanco is grafted to Ramsey. Using a low vigour rootstock does not always lead to quality wine grape production. The hybrids have been developed in Europe over the past 100 years, to combine the most desirable features of each species. A brief description of the characteristics of the main hybrid groups is given below. The other common rootstock, Ramsey, is derived from the species Vitis champini. » This rootstock is considered to have low-moderate vigour and adapts well to calcareous soils (20% active lime). It is reported to assist scion fertility for varieties susceptible to poor set (Candolfi-Vasconcelos 1995, from May 2004), and has a long vegetative cycle. » 420A has a shallow growing and well branched root system that is well suited to poorer, heavy-textured soils. It is susceptible to drought, saline conditions (Southey 1992) and waterlogging (Whiting 2003). » 420A has high phylloxera resistance and moderate nematode resistance. It is susceptible to phytophthora (Southey 1992). While it grafts well, it has been reported to have mediocre rooting ability. » 420A is a minor variety, and there is little experience with growing it in Australia, but it may be a good rootstock for high quality wines in specific situations where growing conditions are suitable. A trial block would be advisable before undertaking a large-scale planting. » 5BB Kober and 5A Teleki have been grown in Australia for many years. The two varieties were recently found to be genetically identical, although there seem to be some clonal differences. The name 5BB Kober is used here to refer to both clones. » 5BB Kober has moderate to high vigour and yield (Cirami,1999). It has a shallow root system and is able to tolerate up to 20% active lime, but is not suited for sites that receive prolonged drought. It should be noted that the rootstock performs significantly better than own-rooted vines in sites with acid soils and drought conditions. » The rootstock is moderately sensitive to salt, but is more tolerant than Vitis vinifera (Zhang et al. 2004) and has poor tolerance to waterlogging. It has moderate resistance to root-knot, but low resistance to citrus nematode, dagger and root-lesion nematode (Nicol et al. 1999). » There have been reports of incompatibility of certain V. vinifera varieties (eg. Chardonnay) with 5BB Kober. » A rootstock suitable for most regions, so long as the soils are free-draining and supplementary irrigation water of sound quality is available. » This rootstock has moderate vigour and is considered a good choice for varieties with poor set, such as Merlot (Candolfi-Vasconcelos 1995, from May 2004). It is reported to be the earliest maturing of this rootstock group (Galet 1998). » 5C Teleki has moderate resistance to root-knot and root-lesion nematode (Nicol et al. 1999). » 5C Teleki is suited to well-drained fertile soils and is good for clay and clay loam soils. This rootstock also has high tolerance to calcareous soils but does not perform exceptionally well on acid or salt-affected soils. » 5C Telekihas yielded well in a number of regions under different conditions. » 5C Teleki is a rootstock suitable for most regions, so long as the soils are free-draining and adequate irrigation water of sound quality is available; it is particularly well-suited to cooler climates because of its ability to improve fruitset and advance maturity and has performed well when grafted to Cabernet Sauvignon in the Coonawarra and Langhorne Creek, Shiraz in Wrattonbully, and Chardonnay and Pinot Noir in the Adelaide Hills. » This rootstock is moderately vigorous and is reported to encourage high yield (Galet 1998). » SO4 has a shallow growing root system. It tolerates active lime of up to 17-18%, as well as performing satisfactorily in acid soils. It is well adapted to a wide range of soils but does best in sandy, well-drained soils of low fertility. It does not tolerate drought conditions and is moderately sensitive to saline conditions. » SO4 assimilates magnesium poorly and this is reported to contribute to bunch necrosis in Merlot and Cabernet Sauvignon in French conditions (Galet 1998). » SO4 has a moderate-high resistance to root-knot nematode, moderate resistance to root-lesion nematode and low resistance to citrus and dagger nematode (Whiting,2004 and Nicol et al.,1999). » It should be noted that SO4 has been criticised for its slender trunk, which can cause breakage at the grafts with mechanical harvesting. In addition, it is reported that vigour decreases considerably after 15-20 years (Galet 1998). » This rootstock is one of the most vigorous and has consistently been relatively high yielding in trial and commercial applications. » 140R is a very hardy rootstock suitable for the most challenging drought conditions. It is also able to tolerate active lime up to 20% and is adapted to acid soils. 140R has a high resistance to root-knot nematode but low resistance to root-lesion and citrus nematode (Whiting, 2004 and Nicol et al., 1999). » 140R has good tolerance to saline conditions and is able to exclude grape juice chloride and sodium in saline conditions to a significantly greater extent than V. Vinifera as well as most other rootstocks (Walker et al. 2000, Clingeleffer, 1996). » This rootstock is moderately susceptible to spring waterlogging particularly in its formative years. » A rootstock suitable for hot climates where moderate to high yields are required for the production of commercial wine, however, it is also suitable for sites susceptible to drought as well as those with high salinity. 140R has a long vegetative cycle which may delay ripening or cause excessive vigour on high growth potential sites in cooler regions. » This rootstock has moderate vigour and a long vegetative cycle, which may delay ripening in cooler regions. As with 99 Richter, it can be a slow starter in the first year as it expends its energy on root growth (Galet 1998). » The root system is not as deep growing as 99 Richter, however, its resistance to drought is better. 110R tolerates saline conditions and is more tolerant than V. vinifera. It is well suited to a range of soils from slightly acidic through to calcareous soils with moderate lime tolerance – up to 17% active lime (Galet, 1998). » 110R does well on poorly drained, shallow clay soils that can suffer from both waterlogging and drought conditions (Whiting, 2003). » It is moderately resistant to root-knot and citrus nematodes, but has low resistance to root-lesion and dagger nematode (Whiting, 2004 and Nicolet al., 1999). » Rootstock trials indicate that this rootstock produces adequate yield in a variety of situations while vine balance and fruit quality are reported to be excellent. » 110R is a rootstock suitable for most situations, however, its long vegetative cycle may delay ripening or cause excessive vigour on high growth potential sites in cooler regions. » This rootstock is moderate to vigorous in growth and has a deep growing, strongly developed root system. In the first year after planting, growth may be slow, particularly in cold soils. Whiting and Orr (1990) report it is not suited to soils that are prone to spring waterlogging. » As with other rootstocks within this family, 99R has a degree of drought tolerance, however, it is the least effective of the family. It is also moderately sensitive to salt but is more tolerant than V. vinifera. It does have moderate tolerance to lime – up to 17% active lime. » 99 Richter is grown successfully in warm and cool regions and is able to perform well in acid soils. 99 Richter has moderate-high resistance to root-knot nematode, but low resistance to root-lesion, citrus and dagger nematode (Whiting, 2004 and Nicol., 1999). » In France the use of this rootstock has been abandoned in favour of other V.berlandieri X V.rupestris rootstocks (Galet 1998), however, this may have been a function of its unpredictable nursery propagation results. » Provided it is planted in a site that doesn’t have any of the deleterious characteristics mentioned above it will perform well in regions with cool to hot climates, however, it may delay ripening or cause excessive vigour on high growth potential sites in deep, moist soils. » This rootstock is moderate to vigorous in growth. It has a deep growing, strongly developed root system (Cirami, 1999). 1103P has proven suitable to be planted in soils with up to 17-18% active lime in France (Galet 1998). » Recent observations in some sites within South Australia have indicated that when 1103 Paulsen is challenged by heavy infestations of root-knot nematodes (RKN) it is not performing to expectation with regard to nematode resistance. » As a result, and in keeping with literature from the northern hemisphere, the tolerance rating of 1103 Paulsen to root knot nematode species has been downgraded from a rootstock with moderate to high root knot nematode tolerance to one with low tolerance. » Further to this, the degree of resistance of 1103 Paulsen may be modified by field conditions e.g. soil fertility and irrigation practices, previous cropping history, clonal differences in rootstocks or variation in virulence of nematode species (Loubser and Meyer 1987, Andrew Walker pers comm). This may explain why 1103 Paulsen has been growing well in some South Australian situations where Root-knot Nematode is present. » PGIBSA is supporting further research to examine the extent of this problem with the aim of characterising the extent to which this decline is occurring and whether it is specific to certain scion varieties. » » 1103P rootstock can tolerate a moderate degree of waterlogging, and is superior to 140 Ruggeri in this regard. » 1103P is well suited to drought conditions and has a good water use efficiency in that it can maximise yield per hectare per ML of irrigation (Pech et al. 2001). » 1103P has good tolerance to salt and is able to exclude grape juice chloride and sodium in saline conditions to a significantly greater extent than V. Vinifera (Walker et al. 2000, Clingeleffer 1996). » 1103P has performed well in terms of vine balance, yield and fruit composition in a range of situations; including the Riverland, Barossa Valley and the cooler Eden Valley. Where vigour is not controlled, there have been reports of excessive vigour and quality may suffer. » This rootstock is one of the most widely planted in France and is said to advance fruit maturity and assist varieties susceptible to poor fruit set (May 2004). » 3309C has low to moderate vigour. It is a good rootstock for deep, well-drained cool soils that are well supplied with water, but unsuited for dry and shallow conditions and not appropriate for heavy soils. It has a deep growing, well-branched root system. It has some tolerance to lime (up to 11% active lime) and acid soils, but does not tolerate saline soils well. It has a tendency to induce potassium deficiency in overcropped young vines on clay soils. Young vines grafted to 3309C can be very nutrient-demanding (Cirami, 1999). » It has high resistance to phylloxera, but is susceptible to root-knot nematodes. It is resistant to crown gall and susceptible to phytophthora (Southey 1992). » There is little experience in growing this variety in Australia, but based on overseas’ experiences, it should be a good rootstock for the production of high quality wines in fertile cool climate situations. A trial block would be advisable before undertaking a large-scale planting. » Sources of 3309C in Australia should be investigated for virus status, as testing in the late 1990s revealed a high incidence of grapevine leafroll virus 3 in source blocks of this variety, and many were removed. » This rootstock has moderate-low vigour and improves the fertility of the scion (i.e. improves fruit set) when planted in the correct environment (May 2004). » Schwarzmann is a moderate to low-yielding rootstock in cool and warm climates; however, in the hot climate of the Riverland, it is a high-yielding rootstock. This rootstock appears to be suited to a wide number of applications, provided that it is planted where there is an adequate supply of good quality water on sandy soils (as it is not drought tolerant). » Schwarzmann has a good nematode resistance and does best on deep soils with adequate soil moisture. This rootstock does not tolerate drought conditions. » Schwarzmann has been known, in some cases, to give high juice pH and therefore lower colour, which is associated with the uptake of potassium (Ewart et al. 1994). » Schwarzmann has a good tolerance to salt and is able to exclude grape juice chloride and sodium in saline conditions to a significantly greater extent than V. vinifera (Zhang, Walker and Blackmore 2004). » This rootstock is used in France by growers wanting a low vigour rootstock that encourages quality and has active resistance to lime (Galet 1998). » 101-14 is well suited to cooler climates because of its short vegetative cycle and ability to advance maturity and improve fruitset and fertility of the scion (May 2004). This rootstock appears to be lower yielding in cooler climates, similar to Vitis vinifera. » 101-14 has moderate resistance to lime and can tolerate levels of up to 9% active lime (Galet 1998), but is not suited to acid soils. 101-14 does not tolerate drought conditions but Galet (1998) reports that it does well in damp soils that dry out slowly. Whiting and Orr (1990) report that 101-14 is highly susceptible to waterlogging; although it should be noted that local experience contradicts this finding (Dry, 2005). It has good tolerance to salt and is able to exclude grape juice chloride and sodium in saline conditions to a significantly greater extent than V. vinifera (Walker et al. 2000, Clingeleffer 1996). » 101-14 has good resistance to root-knot nematode, low resistance to root lesion and citrus nematode (Whiting, 2004 and Nicol et al., 1999). » This rootstock appears to be suited to a wide number of applications from cool climate through to hot climate, and is best planted where there is adequate water, moderate to deep loamy sand and fine textured (clay) soils. » Ramsey produces more fruit that any other rootstock in most situations. It produces the largest canopies with its vigorous growth. In cases where its vigour potential is not checked there can be delays or insufficient fruit maturation, excess potassium absorption and detrimental effects on wine quality. » Trial results indicate that increased potassium is prevalent in red grapes grown on Ramsey (Walker et al. 1998). However, this may be a function of the vigorous canopy and excessive fruit shading which is known to increase potassium concentrations in musts (Smart et al. 1985). » Similarly, Walker et al. (1998) found that anthocyanins (total and ionised) were less for Shiraz and Cabernet Sauvignon grafted to Ramsey compared to own-rooted vines. However, the more shaded canopies of the grafted vines may have been a factor in reducing colour intensity, as total and ionised anthocyanins and phenolic concentrations are known to be negatively correlated with shading (Smart et al. 1985). » It has good tolerance to salt and is able to exclude grape juice chloride and sodium in saline conditions to a significantly greater extent than V. vinifera (Walker et al. 2000, Walker et al. 1998, Clingeleffer 1996). » Ramsey has excellent nematode resistance, except for dagger nematode (Whiting, 2004 and Nicol., 1999). » Ramsey is able to perform well in a range of soils so long as they do not encourage excessive vigour. » Ramsey is well suited to drought conditions and has good water use efficiency in that it can maximise yield per hectare per ML of irrigation (Pech et al. 2001). » Ramsey is a rootstock suitable for warm to hot climates where moderate to high yields are required for the production of commercial wine. The Phylloxera and Grape Industry Board of South Australia, trading as Vinehealth Australia, is committed to minimising the risk of pests and diseases (in particular phylloxera) in vineyards, by investing in biosecurity training and awareness, policy and procedures, research and development priority setting, and preparedness, prevention and response activities, to the benefit of the South Australian and national wine industry. The Phylloxera and Grape Industry Act 1995 provides the legislative foundation from which Vinehealth Australia obtains it powers and functions and is responsible to the South Australian Parliament through the Minister for Primary Industries and Regional Development.